Enter Mark Roberge, MIT grad, current Chief Revenue Officer at Hubspot, and the man who’s here to tell us that building a winning sales team really is a science. Before he took over as CRO, Roberge was Hubspot’s SVP of Worldwide Sales and Services, presiding over the company’s rise from startup to $100 million revenue-generating giant and challenging conventional wisdom at every turn. 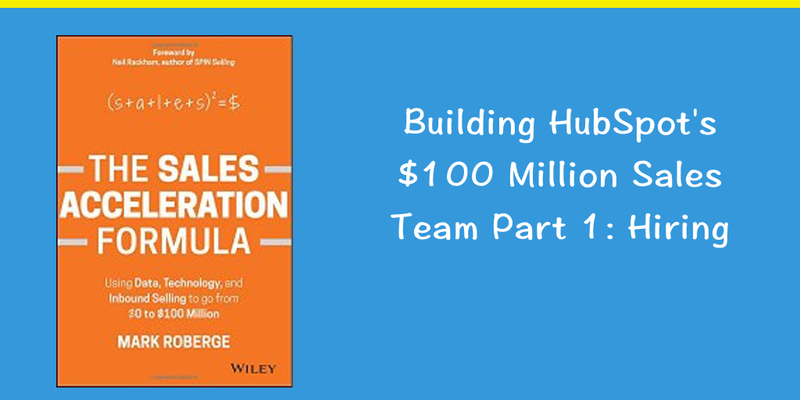 In his new book, The Sales Acceleration Formula, Roberge lays out his thoughtful, data-driven approach for developing a sales team that delivers exceptional results. Here’s a hint: It all starts with hiring the same successful person, again and again. Read part 1 of our series on Mark Roberge’s new book below. Come back or subscribe to our blog to get notified when part 2 is published! When Mark Roberge was hired by Hubspot in 2007, the company had only three other employees. That’s not an exaggeration. As the fourth member of the team, he truly got in on the ground floor. When you’re part of a small team trying to accomplish something great, you naturally have many competing priorities. The quote above tells you exactly which priority Roberge put at the top of the list. But it’s one thing to prioritize “world-class sales hiring,” and quite another to actually pull it off. To do so, Roberge put his MIT education to work, combining analytics, context, and common sense to build a hiring process that consistently identifies top performers. The first key is context. What do you sell, and who do you sell it to? A salesperson who’s great at high activity transactional selling might struggle selling a more complex product in a consultative setting. If you want to consistently hire reps that will turn out to become top performers, you’ve got to understand your own business and tailor your hiring process to match. 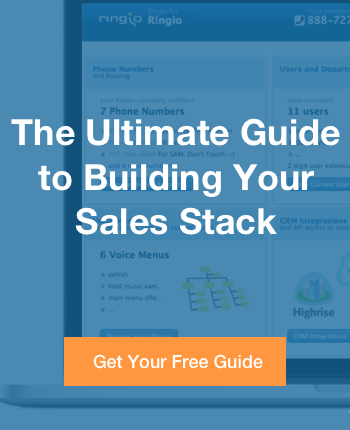 With the basics out of the way, you can move on to identifying the ideal characteristics of a salesperson in the context of your unique sales environment. Learn all you can about your top performers. Are your best people consultative, aggressive, or a mix of both? What tactics do your key buyers respond to? Subscribe below for part 2!